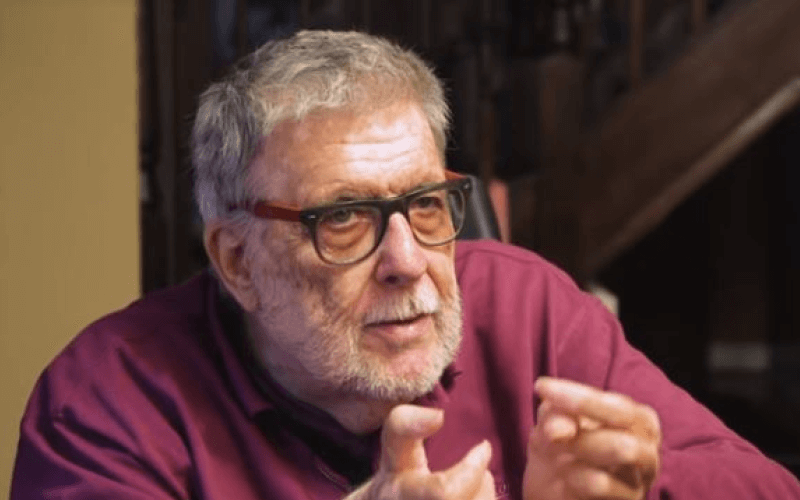 The death of the disabled academic who first defined the “social model of disability” has led to an outpouring of admiration, affection and grief from leading figures in the disabled people’s movement. Their responses highlighted the status of Professor Mike Oliver as one of the movement’s most influential figures. After hearing of his death this week, many disabled friends and admirers explained on social media how his work had changed their lives. Dr Sally Witcher, chief executive of Inclusion Scotland, said his book, The Politics of Disablement, had “profoundly” changed her understanding of disability and of herself as a disabled person. Tracey Proudlock, co-founder of the influential Campaign for Accessible Transport in the early 1990s, said his work had set her on a “personal journey transforming” her own politics. And Phil Friend, a former chair of Disability Rights UK, said Oliver was “a colossus and irreplaceable” and would “always be remembered as the one who set us all free”. Other leading disabled activists and campaigners to recognise his contribution to the disabled people’s movement this week included Professor Peter Beresford, Michelle Daley, Jane Young, Dennis Queen, Liz Carr, Cllr Pam Thomas, Mik Scarlet, and Rhian Davies. Many first heard the news from the disabled crossbench peer Baroness [Jane] Campbell, who had known Professor Oliver for more than 30 years, and described him as a “dear friend, mentor and all-round genius”. They wrote a book together, Disability Politics: Understanding Our Past, Changing Our Future, and Baroness Campbell said his legacy was “central to how millions of disabled people now live their lives and see themselves”, as “empowered people with rights” rather than a medical diagnosis. In an interview with PhD researcher Jonjo Brady, recorded last year for a documentary by the University of Kent’s Matt Wilson, which was shown as part of the university’s Disability History Month event in November, Oliver (pictured being interviewed) described how he left grammar school with three O-levels, before working as a clerk in an office for a year, where he discovered “that being at work was even more boring than being at school”. But after he broke his neck diving into a swimming pool, he spent a year receiving rehabilitation in Stoke Mandeville Hospital’s renowned spinal injuries unit, and was then given a job teaching young offenders. When a law change meant he could no longer teach without a degree or teaching qualification, he decided to study sociology, the first subject he had encountered that he felt was relevant to his own life. He studied sociology and social anthropology at the University of Kent in the early 1970s, at a time when it was physically “unwelcoming” to a wheelchair-user, in contrast to the helpful attitude of the staff and fellow students who assisted him daily with the barriers he faced in the “generous times ushered in by the economic and cultural revolutions of the 1960s”. His life, he said later, was changed by a booklet published in 1976 by the Union of the Physically Impaired Against Segregation (UPIAS), The Fundamental Principles of Disability, which argued that “the root cause of our problems was the way society was organised and the disabling barriers we faced”. UPIAS – and one of its key members, the father of the social model, Vic Finkelstein – argued that disabled people were oppressed by society, rather than seeing disability as “a personal tragedy”. This meant, said Oliver, that he “no longer had to accept full responsibility” for his impairment and understood instead that his “personal troubles were also public issues”, an insight that led him to develop the UPIAS principles and define the social model as the key to understanding disabled people’s oppression. Oliver stayed on after his degree to complete his PhD in Kent, and eventually to teach a masters course for social workers working with disabled people. It is believed to have been the first postgraduate course in what later became known as disability studies. At the time, he would say later, most writing on disability “was dominated by assumptions that disability was a medical problem and the focus was on illness and impairment”, and any personal focus was on disabled people as “tragic victims”, with the stereotype reinforced in popular culture through the “triumph over tragedy” genre. He had wanted his masters course instead to challenge the idea that professionals working with disabled people should focus solely on their “personal troubles and not how and why they were linked to public issues”. Oliver’s first book, Social Work with Disabled People, published in 1983, incorporated this philosophy and introduced the social model of disability to a wider audience, and within five years, he said, “had become the mantra for many disabled people’s organisations and was beginning to make its way into official government documents”. The book, now in its fourth edition, is still in print. 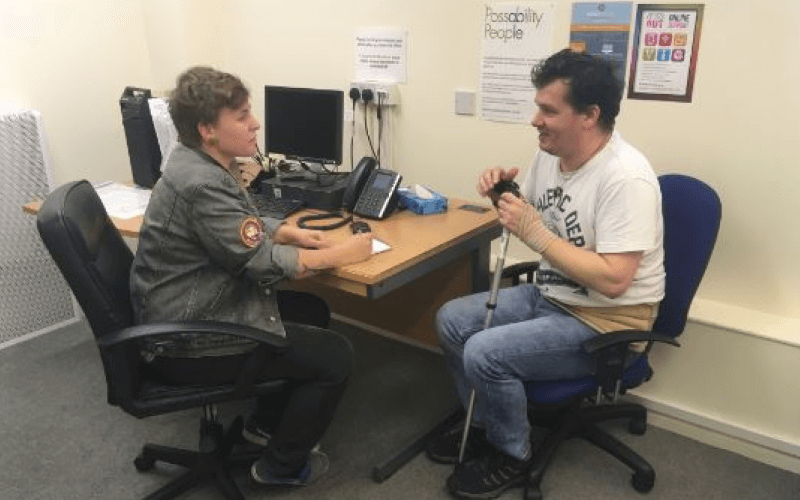 He also spoke in his interview with Brady about his second book, The Politics of Disablement, which was published in 1990 and brought together sociology and disability and became a key textbook just as disability studies “was about to take off”. Oliver would later become the first professor of disability studies in the UK, at the University of Greenwich, and he was still, in retirement, emeritus professor of disability studies at the university. He played a key role in the late 1980s and early 1990s in persuading the government to introduce disability discrimination legislation, partly he said later by pushing for research that was carried out on behalf of the British Council of Disabled People by another pioneering disabled academic, Colin Barnes, which showed the extent of discrimination faced by disabled people in Britain. Oliver said it was that research by Barnes (now emeritus professor of disability studies at the University of Leeds), and direct action by the Disabled People’s Direct Action Network, that persuaded the government to introduce the first Disability Discrimination Act, which became law in 1995. But he said the Conservative government “sold disabled people and our aims for that legislation down the river” by making the act ineffective and “almost unenforceable”. In a statement following his death, the Centre for Disability Studies (CDS) at the University of Leeds described Oliver as “a pioneer of UK disability studies” who “will never be forgotten”, and said his work on the social model “became – and remains – essential for challenging social injustice”. CDS said his ideas and commentary had helped to shape the “strategies, demands and activities” of the UK disabled people’s movement, while his writings were “highly regarded across the globe and were instrumental in the development of the United Nations Convention on the Rights of Persons with Disabilities”. CDS added: “The clarity and accessibility of his writing has led to various arguments, including alternative theories, to emerge within disability studies and across activist networks. “This is to be welcomed as it will further debate and action to address the marginalisation of disabled people. His collaboration with disabled activists and disabled people’s organisations, said CDS, transformed disability “from a personal and private trouble to a public issue, one that remains a matter of social justice. In recent years, Oliver emerged occasionally from retirement, either to campaign locally in Kent, where he still lived, or to deliver powerful speeches that were heavily critical of both the government and the large charities that claimed to speak for disabled people. Last summer, Disability News Service (DNS) reported on his campaigning work in Kent to expose the failings in the company responsible for the NHS wheelchair services contract in the county. He had been a user of wheelchair services in Kent for more than 50 years, and said he believed the service was worse than it had ever been throughout that time. Allen Jones, honorary chair of Wheelchair Users Group for South and East Kent (WUG), knew Oliver for nearly 30 years and said it was thanks to his “tireless campaigning and badgering” that they had made progress in persuading the authorities to listen to their concerns. They became friends when Jones was chair of Centre for Independent Living Kent (CILK), and Oliver helped them put together a successful lottery bid for a mobile centre for independent living. He said Oliver had been “passionate” about the social model “right until the last”, delivering a five-minute summary in one of the meetings with the company that delivers the wheelchair services contract. He said: “That was the essence of Mike: he would help anybody, but he wouldn’t mince his words. He would tell it how it is. “Unless you challenge and deal with it, it will never improve. That was his philosophy. He would never take no for an answer. In 2013, Oliver had spoken in public about disability for the first time in 10 years, warning disabled people to beware of the “fakes” and “so-called friends” who tried to jump on the independent living “bandwagon”. In a speech to mark the launch of UK Disability History Month, he said disabled people shouldnever “forget where we came from” and should remember that “we were the ones who escaped from our isolation and segregation, whether we were in homes or our families”. Describing some of the lessons from history that disabled people must learn in their continuing struggle for independence, he said they should remember that independent living did not mean “living on our own” or “doing everything for ourselves” but was about “having choice and control in our lives” and “autonomy and self-determination”. And he warned them to beware of “the fakes who seek to jump on the independent living bandwagon”, such as the big charities who “claim to promote and support independent living and yet continue to run residential homes and even export the residential model to other parts of the world”. Four years later, in another speech to mark Disability History Month, this time at the University of Kent, he said that many of the big charities were “parasitic on the lives of disabled people, and their attempts to reposition themselves as defenders of disability rights are an attempt to disguise this”. He also warned that the government had positioned disabled people as “pathetic victims”, allowing ministers to launch “a massive attack on services and benefits for disabled people” while claiming that their “relentless assault on the living standards of disabled people is nothing of the kind but a heartfelt attempt to take public money away from scroungers and fraudsters and give it to the most severely disabled people who really need it”. He concluded that disabled people needed to take responsibility themselves for “attacking the disabling barriers we face”, arguing: “What disability history teaches us is that we cannot rely on the bleeding hearts brigade and parasite people to do it for us.